– Make new entries easily! – Review past entries with just a click on the calendar! – Runs on nearly all versions of Windows! – Learn more about The Journal’s convenience and ease of use. – Find what you’re looking for with the powerful search features! – Print your entries for binding or sharing! – Set reminders for appointments, events, tasks & special days! 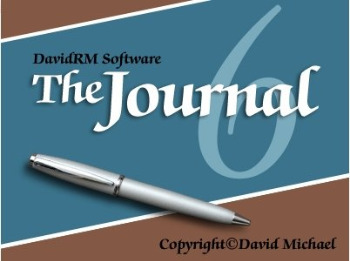 – Import entries from other journaling software quickly! – Post your entries (including entries with images) to your web log (blog). – Learn more about The Journal’s powerful features. – Keep your secrets secret! – Set the level of security you want!